Genesis 12 opens with familiar words spoken by God to Abram (Abraham), “Go forth from your homeland, from your kindred, and from your father’s house, to a land that I will show you.” The verse is familiar because we count it as the beginning of the journey of Abram, whose name will become Abraham, the first Jew. In the past, we sometimes asked what Abraham was feeling when he went forth; but, such a question is impossible to answer. It’s also irrelevant. We should ask what does this verse say about a new relationship between God and the Israelites and ultimately our own Jewish experience with God? Though Midrash doesn’t answer specifically what it is we must know, it does succeed at explaining what we can glean from Abraham’s departure from his father’s home. The rabbis ask why God didn’t show Abraham the place to which he was going, immediately. The rabbis teach that God wanted it to become more beloved in his eyes. Delayed gratification, though it wasn’t a term the rabbis knew, explained how human development and maturity contributed to a full relationship with God. Therein lies an insight into the purpose of Abraham’s journey. It was a journey nobody had ever taken in the past. This was a unique journey with God that would endear a people and those who joined them to a unique destiny. This time, Abraham would come to the place that was intended for him by virtue of free will. Though God foresaw what would become of him as told in the narrative that followed, it was also dependent on the steps Abraham would take in the direction he believed he needed to go. The Midrash adds that God blessed Abraham for each step he took. Behavior modification wasn’t defined until centuries later, but its origin is found in the relationship that our heritage offers us as Jews. Torah provides a long list of consequences in the form of blessings and curses based on personally chosen behavior. The list outlines how we can avail ourselves of good and avoid evil. It seems easy, but the lesson isn’t found in how we perform religious incantations, or how we pray, today; rather, the lesson is found in how we choose carefully the way we go. It’s not a formula for perfection. We know that bad things happen to good people despite their faith. Such is life where God’s role isn’t a monarchical puppeteer, but rather an unconditionally loving parent who shows the way even if God can’t prevent us from harm or tragedy. Like a loving parent, God is a source of joy and a source of comfort. Our role is to be mindful of our choices so that we can fulfill the meaning of our life with all its attendant joys and sorrows. 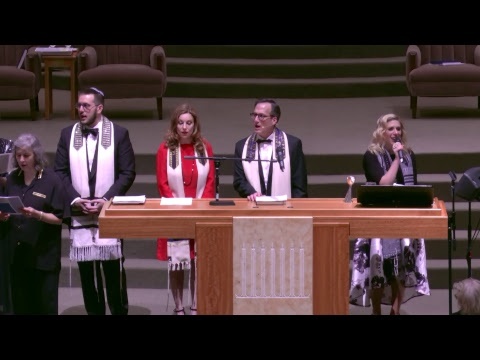 As we read in Deuteronomy, “See, I have set before you today life and prosperity, and death and adversity…Choose life!” Highlighted in Midrash, Torah taught that the way we wish to go is in our hands while God urgently advised (commanded) us to “Be a blessing” and to “Choose life”.